Skeptics and Beliver square off in a discussion about Skepticism, science and some controversial past Skeptiko interviews. Join Skeptiko host Alex Tsakiris for a discussion with Monster Talk podcast hosts Blake Smith, Ben Radford, and Karen Stollznow. 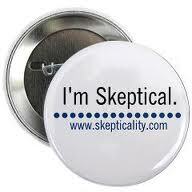 This episode is also published on the Skepticality podcast.